Halloween is THIS Saturday, are you ready?! I don't do anything since I don't have children and all the kids in my family are too old to trick or treat. I miss taking them out though! I have a couple polishes from Sally Hansen's Miracle Gel line to show you all, as well as some nail art! Blacky-O. Application & formula were spot on. 2 coats topped with SH Miracle Gel Top Coat. 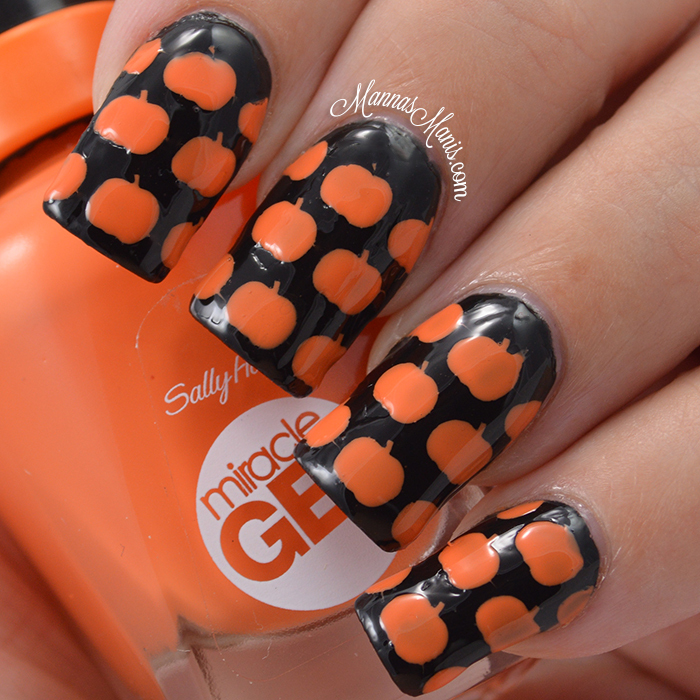 Electra-Cute, the perfect orange for Halloween/Fall. No issues. 2 coats topped with SH Miracle Gel Top Coat. Of course I had to do some nail art with these! I used Vino Vinyls adorable pumpkin vinyls. 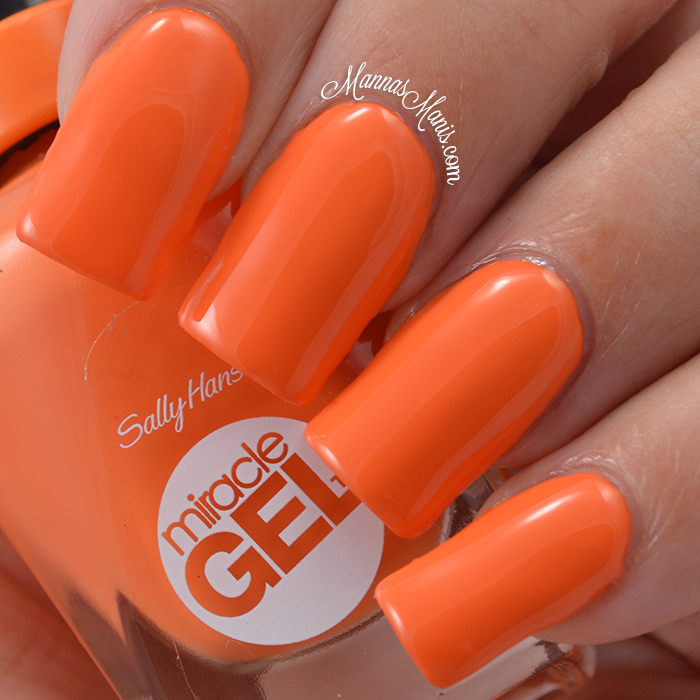 Price & Availibility: Available now wherever Sally Hansen is sold. $9.99 for the set, includes top coat.